Megalithic civilizations held tremendous knowledge surrounding mass and weight. What if we could mine this past knowledge to inform contemporary practice with the tool of gravity? One of the greatest mysteries of Megalithic era construction surrounds transportation from quarry to site. It is thought that the Bluestones of Stonehenge were floated up the river Avon with animal bladders. This practical solution provokes perception in delivering a floating stone. What would it mean to float a stone today? 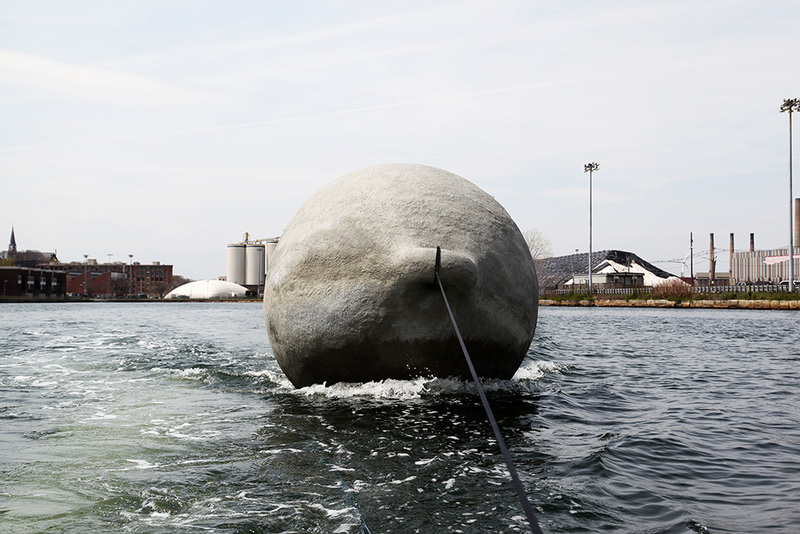 The Buoy Stone is calibrated to rest on its side for a horizontal commute, then transform into a vertical figure once pumped full of river water. The Buoy Stone celebrates the 100th anniversary of MIT crossing the Charles River from Boston to Cambridge. It is the second in a series of megaliths that investigate how this knowledge from the past could impact our contemporary world ~ the first being the McKnelly Megalith. size: 8" X 8" X 20"